A 20K Vegas Partner Lounge Tournament on Gold Factory gets May off to a roaring start at Golden Riviera Casino. Entry is Free! (Press release, May 5, 2014) – There is never a dull moment at the premier destination for online gaming, Golden Riviera Casino. With the regularity of thrilling tournaments there is no need to hunt high and low for excitement. The next grand opportunity for players to battle it out for a worthy prize is the 20K Tournament on Gold Factory which kicks off on 9 May 2014. Winners will be rolling out on a production line with prizes for the top 60 players. First place naturally takes home the lion’s share of the prize, a grand total of €4,000. With Free entry into the tournament, there is nothing to lose. Players can, however, expand their chances by purchasing Add-ons at a cost of €10 each. Registration for the tournament opens on 5 May (00:01 GMT) and the action begins on 9 May (18:00 GMT) and runs until 21 May (22:00 GMT). Golden Riviera Casino :: Gold Factory slot – PLAY NOW! 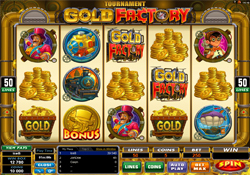 The host game, Gold Factory, is a favourite choice for many seasoned online gaming veterans. As its name would suggest, it is habitually loading up winners with heaps of gold. 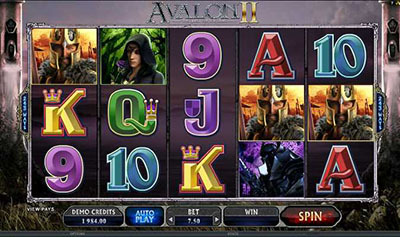 This 5-Reel, 50 Payline Video Slot has features that will have all players seeing Dollar signs, such as a Wild substitute and a Scatter which triggers a Multi-level Bonus game. A generous output can be expected for new players, with Golden Riviera Casino’s Welcome offers. Players can opt for a total of $/€/£500 Free in Bonuses on their first three deposits with the deposit Bonus offer. They will receive a Bonus of 100% on their first deposit with up to $/€/£150 Free, 25% on the second, up to $/€/£200 Free, and 50% on the third, up to $/€/£150 Free. Alternatively players can opt for the Freeplay offer which is a gift of $/€/£2,500 in Free casino credits to play with in their first 60 minutes in the casino, no deposit required. Players will be able to sample the games firsthand and afterwards they will be able to keep a portion of the winnings. The entertainment at Golden Riviera Casino is always flowing with over 650 top quality casino games to choose from. From Table Games like Video Poker, Blackjack and Craps, to the latest Video Slots with powerful graphics and unique themes, there’s something for everyone. 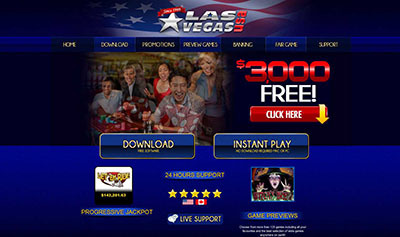 Each title is powered by the industry leader in online gaming technology, Microgaming. Banking is kept simple and convenient with a range of options available in numerous currencies, from web wallet services to credit cards and direct bank transfers. All information is carried over lines protected by 128-bit encryption technology, a trusted industry standard. Should any queries arise, a team of multilingual support staff are ready to offer friendly assistance at any time of day or night.